When the Fujifilm X100S camera arrived in the office in April, we were excited by its potential. After having used it for a few months, we are completely bowled over by its capabilities. The quality of the images and the ease with which we were able to create them was not a total surprise for us. However, we were caught completely off guard by what we were able to do with the camera in Macro mode. 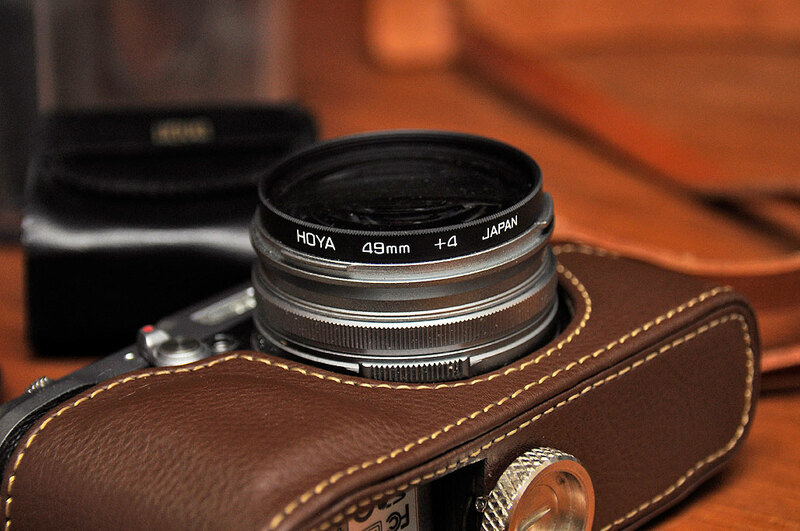 In June, we posted a write-up on using the Fujifilm X100S for close-up photography. At that time, we thought we had found the camera’s limit, then we pulled off a couple of shots that tells us the X100S still has a bit left in the tank. Dragonflies are kind of twitchy. So we thought it odd when this one didn’t move when we approached it. We were even more surprised that it was still there when we came back after we’d run upstairs to grab the X100S. 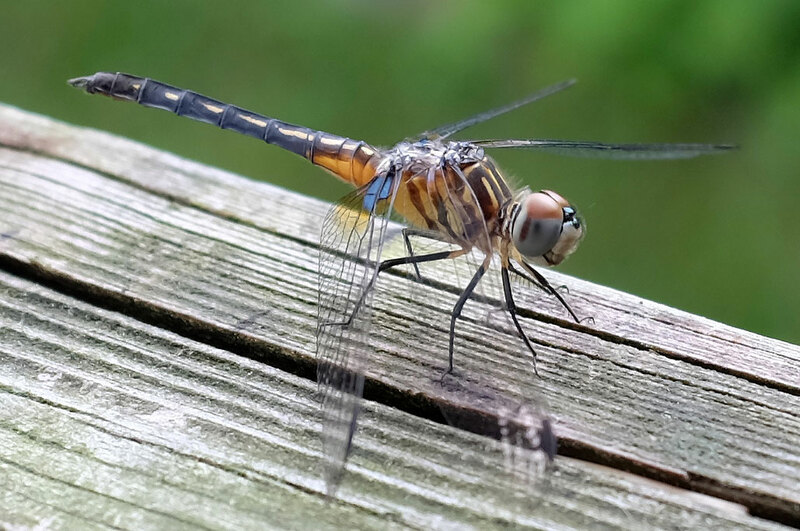 The dragonfly allowed us to take a few dozen shots of it from various angles before it finally flew off. However, it was not until we looked at the photos at full resolution did we understand why it did not fly away. The dragonfly was waiting for the water droplets on its wings to evaporate! Not many point-n-shoot cameras let you get shots like these…handheld, no flash, full auto. There is a lot more to this X100S than we have explored so far. We are fortunate that we have a variety of macro equipment to use with our Nikon DSLR bodies. An autobellows lets us get in close and a magnifying viewfinderenables us to focus precisely. Special effects gear such as the Lensbaby/37mm macro filters give us the ability to creatively shift the focus around the image plane. Up until a few months ago, we were quite happy working all the knobs and dials to get a close-up shot of our subjects. The process was a bit tedious, but there was no other way to get the shot. However, with the X100S, we can go right up to the subject, focus, and get the shot. No planning or setup. Just frame and shoot. This point-n-shoot camera has completely altered our idea of the macro workflow! Our DSLR macrophotography rig, besides being cumbersome, has a limitation not found with the X100s camera. The X100S has the ability to autofocus in macro mode. This means we don’t have to do “trial and error” focusing. While not an issue for studio work, “trial and error” focusing is not that practical when shooting in the wild. 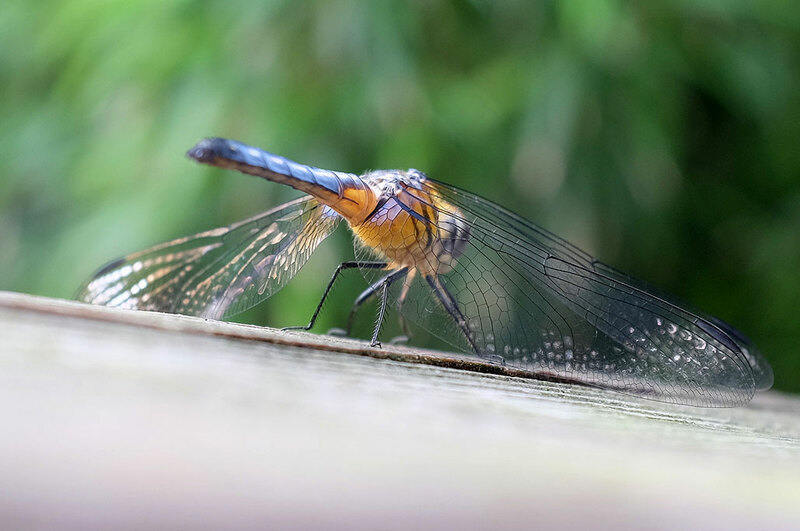 The dragonfly shoot got us thinking how we might squeeze even more out of the Fujifilm X100S. One option was to add a close-up filter in front of the lens. Putting a close-up filter in front of the camera lens is a lot like shooting through a magnifying glass. To maximize the depth-of-field and get the sharpest results, the lens should be stopped down as much as possible. Here is where the adjustable aperture of the X100S will be useful. The question is: by adding the filters, how much contrast and/or sharpness will we be sacrificing? After a bit of research, we decided to go with the Hoya Close-up kit. 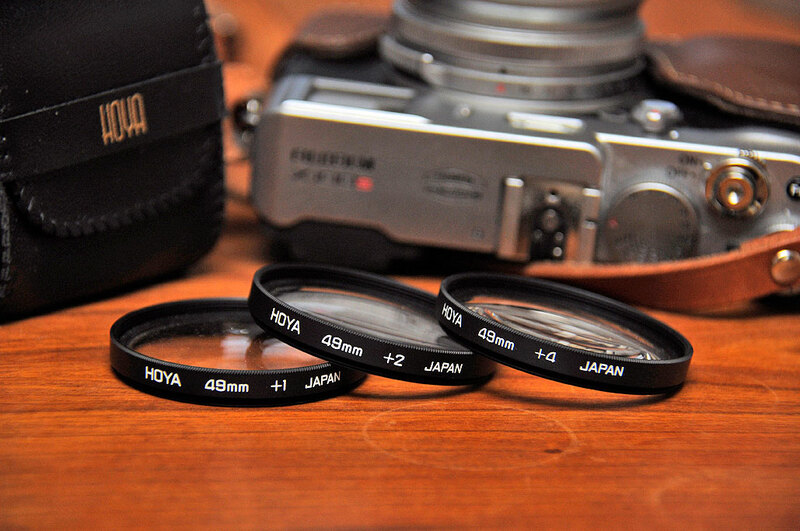 The 49mm setincluded three filters: +1, +2, +4. The filters thread onto the same adapter for the lens hood. The filters may be threaded together to increase its power. However, we are pretty sure there would be a penalty to pay in image quality if we did that. Now that we have these Hoya close-up filters in house, we are eager to see how they will perform with the Fujifilm X100S. Look for the results in the Fall!